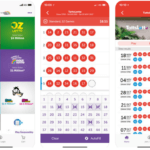 Skratcherz is wonderful scratch card game developed by Betsoft where you can enjoy and play not one but a bundle of four scratch card games instantly on your mobile or PC. The cards are to be scratched virtually allowing you the autonomy to win while on the go. 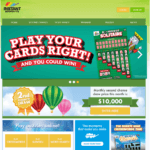 Skratcherz therefore gets you four different cards to play with with no paylines, wilds and scatter symbols but yet an interesting pokie to play at online casinos. The game is set on a yellow backdrop with the cards which you can play with on the left side of the pokies. The card chosen is displayed in the centre slot while the wins are displayed on the right side of the game. Note that this game does not have a storyline or theme but the cards will offer an exhilarating experience as you try to match the different numbers which are included on the cards. Also the game does not require any download because you can play this game from your web or mobile browser as long as you have flash enabled on your device. 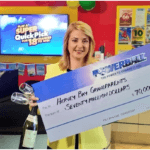 As said above there are four awesome scratch cards to play in the pokies of Skratcherz. All the four games can be seen on left side of the screen. All you need is to click on the one you wish to play. In this scratch card game you need to reveal two identical numbers in the same row to win the prize shown for that row. The prize is shown under the prize marker on the right side of the card. If you reveal a Fortune Cookie symbol you will win the prize for that row automatically without the need for matching symbols. You can stake for $2 at this game and begin to scratch to win. 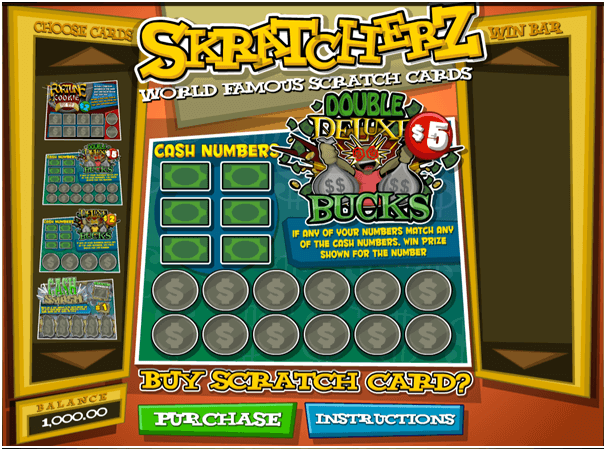 This is the second scratch card game in Skratcherz pokies to play. In this game which consists of 12 play markers in addition to 6 cash numbers and if any of your numbers from the play markers match any of the cash numbers you win the prize shown for that number. This game can be played for $5 per card. This is the third game in sequence at the Skratcherz game. 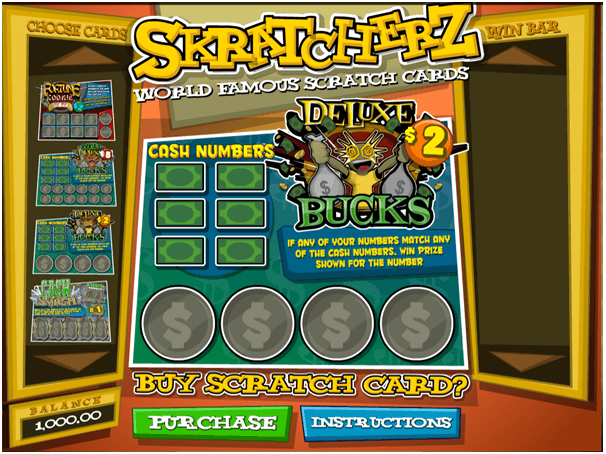 The deluxe bucks scratch card consists of four play markers in addition to six cash numbers markers. If any of your numbers from the play markers match any of the cash numbers you win the prize shown for that number. This scratch card costs $2 to play the game. 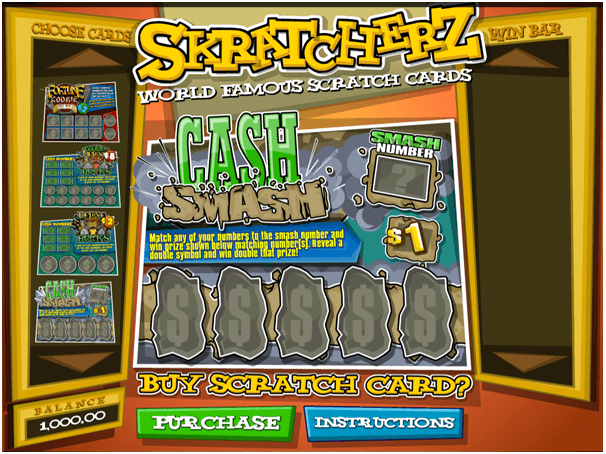 Cash Smash is the fourth and the last game to play in this instant scratch card pokies game. You have to match any of your five numbers to the Smash Number and win the prize as shown below the matching numbers. Now reveal a double symbol and win double that prize. The smash number is located on the top right of the scratch card. This game can be played for $1 which means you need to buy this instant scratchie with AU$1 only. 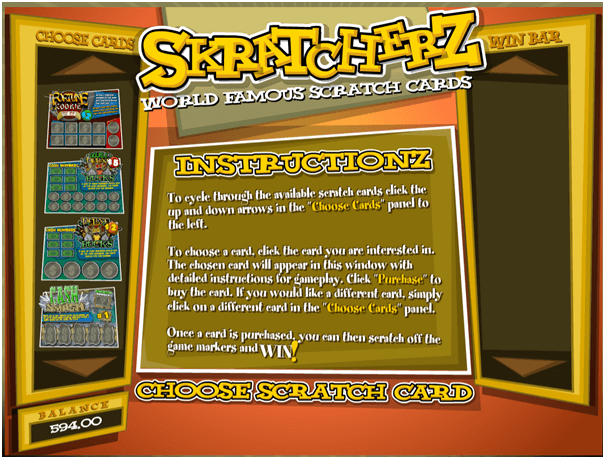 In all these scratch card games you will be required to choose the card you prefer playing and then clicking the purchase button so as to begin playing the game. 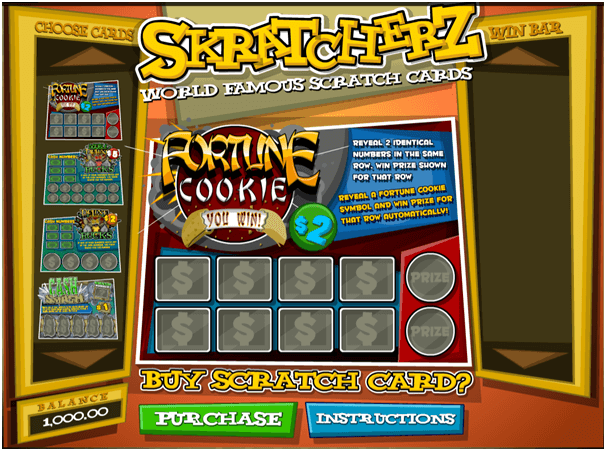 After purchasing the scratch card you prefer you will use the coin cursor to scratch off the surface of the card. If you are lucky and land a winning combination as indicated on cards instructions, you win the prize indicated instantly. The card which you select will determine the gameplay and the prizes to receive. As the different cards have different prizes, you must be very careful when selecting the card. 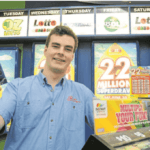 The Cash Smash and the deluxe bucks scratch cards seem to be the high paying scratch cards. All wins which are achieved when playing this game are indicated on the win bar which is located at the right of the game display. 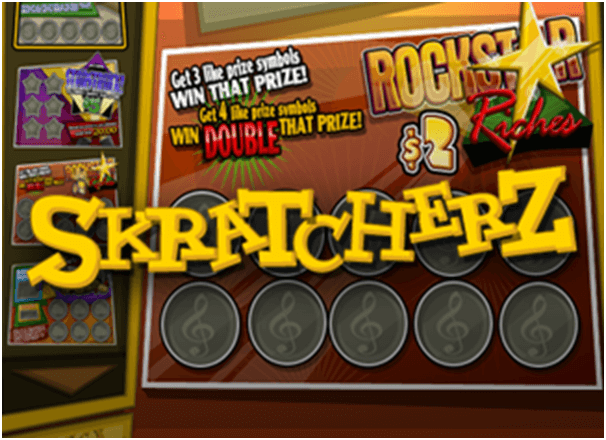 You can play this instant Skratcherz pokies games at Betsoft powered online casino like Rich Casino. Remember most of the Betsoft online casinos are Aussie and Kiwi friendly which means you can play here the pokies you want with your own real currency or with cryptocurrencies like Bitcoins. 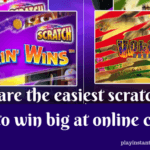 Also the instant scratch card games at online casinos are free to play to practice the game before you indulge in real money game play.